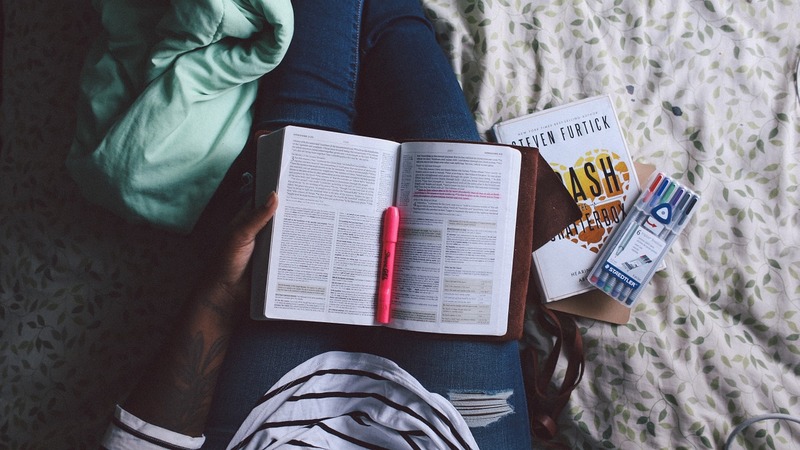 The years that you spend at university are either the best or the worst or your life. 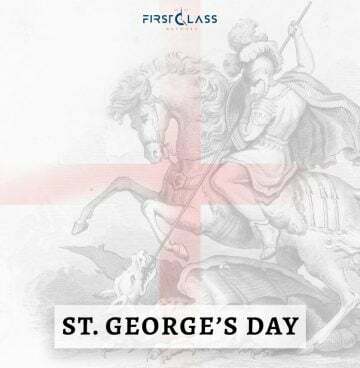 It is a time of new independence, lie-ins and for the majority, £2 to live on for the week. Watches are a great gift or a great investment for students. For those of you that struggle to get to lectures on time or need a little push with time management, we have a list of 10 watches which we think are well suited to student life. We thought we would kickstart this top 10 with a watch that is under £20. 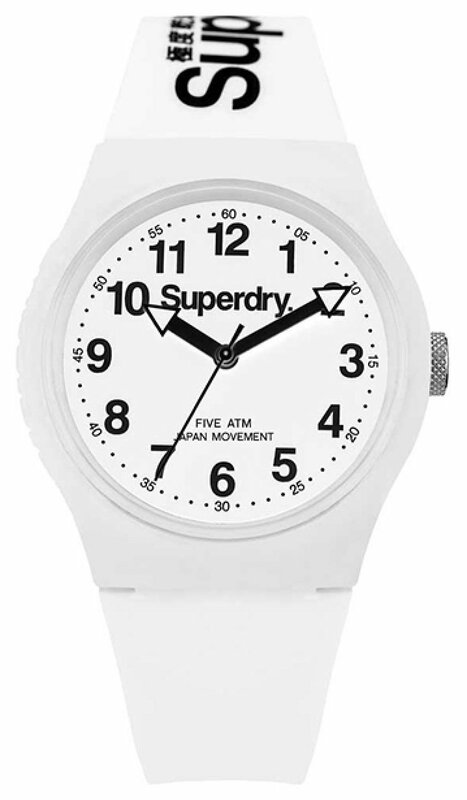 As a university student myself, Superdry is a brand that I often see other students wearing which is why this timepiece made our list. It is a simple black and white design with a sporty flair which will be a perfect timekeeper for your university days. The neutral black and white colour combination also means you can wear this watch with a variety of different colours. 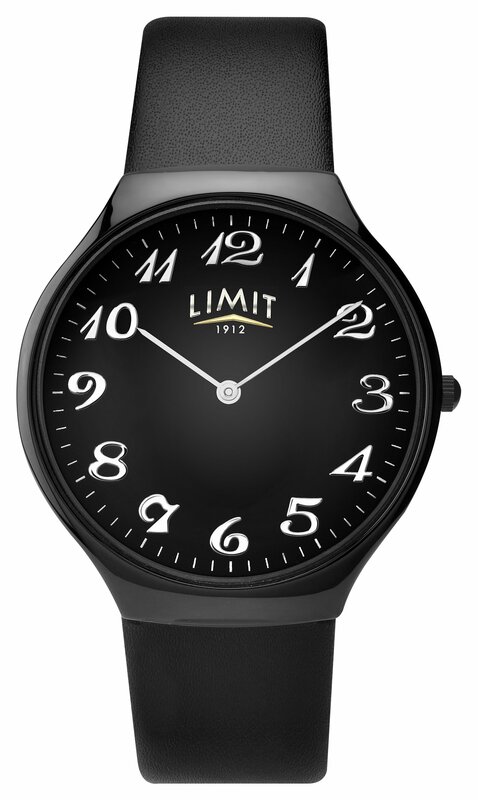 This is an all black timepiece that also falls under the £20 mark. This simple and funky watch was build purely for the feature of telling the time as it has no other complications. The all-black colour means that it is a versatile accessory that can be worn on those casual days for university, simply helping get you to lecturers and seminars on time. If you are a girly girl or perhaps just a lover of the colour pink then this timepiece might be the one for you. 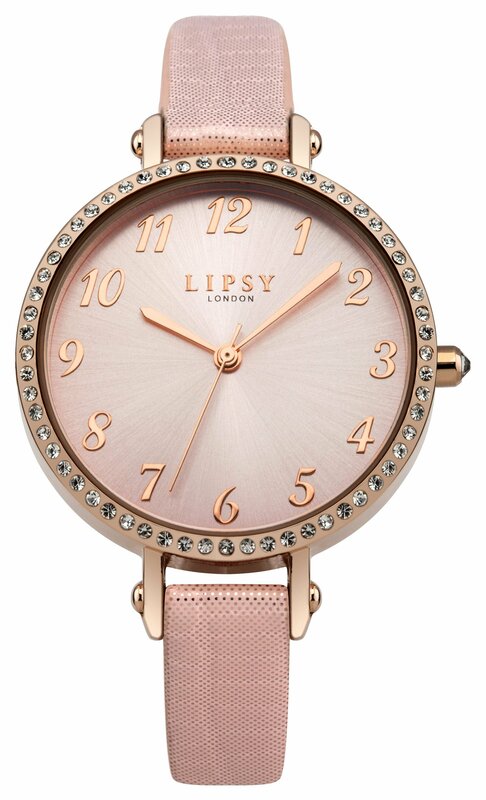 Lipsy shows off an all pink watch which is feminine and also has a crystal set bezel for an extra sparkle to your attire. If you are looking for an accessory to compliment your stylish university attire on a budget then this is the watch for you, retailing at £20 in our sale! There are some that prefer accessories that look smart, however, on a budget. 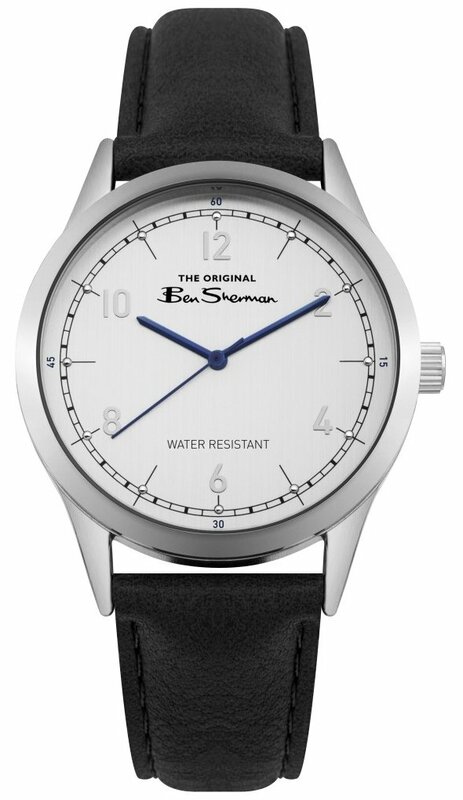 If you find yourself in this situation then we would recommend this timepiece designed and crafted by Ben Sherman. As with the previous models mentioned this watch is also under £20 but has the look of a formal dress watch. Dress watches are usually simple in design and complications with a black leather strap and white dial, therefore, this model is the perfect fit without breaking the bank. This is a subtle yet stylish timepiece that is a great addition to any girls university wardrobe. 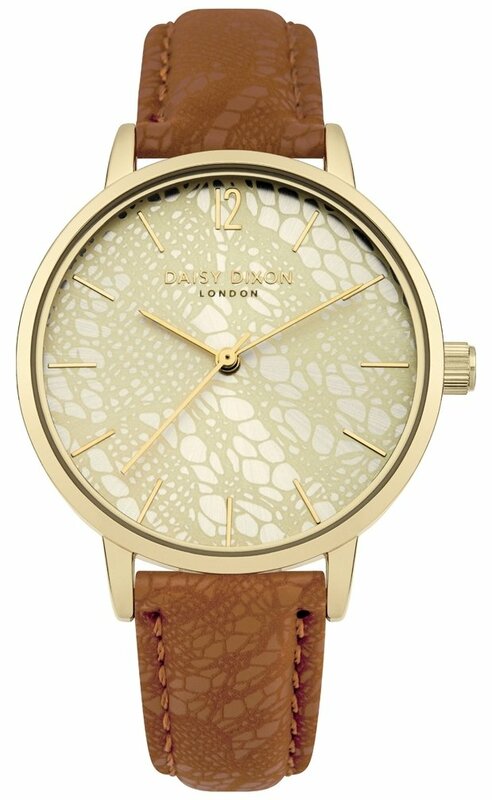 This watch is comprised of a brown leather strap and intricately patterned dial in a gorgeous gold shade. Overall this is an eye-catching accessory that would look great matched with a brown pair of boots and a brown bag. Subtle styles and colours are not a look that everyone strives for which is why we have included this bright and bubbly timepiece designed and crafted by Cath Kidston. It combines a navy blue and pink with a floral dial for a piece that will stand out. If you like a 1950’s look then the polka dot strap might also take your fancy. You may be the kind of girl that loves to wear jewellery and this piece by Fiorelli has more of a bracelet style that would be well suited next to bracelets and rings in silver. It is a contemporary piece that gives an aura of sophistication and class for only £34.50, therefore, a style that won’t break the bank. If you are a man that is concerned with the latest trends then this watch may catch your attention. From the fashion weeks across the globe, one of the predominant colours that we saw across many designers was olive green, making the colour of this watch desirable among fashionistas. The large digital dial has a retro and vintage feel and will compliment your casual university style this 2019. 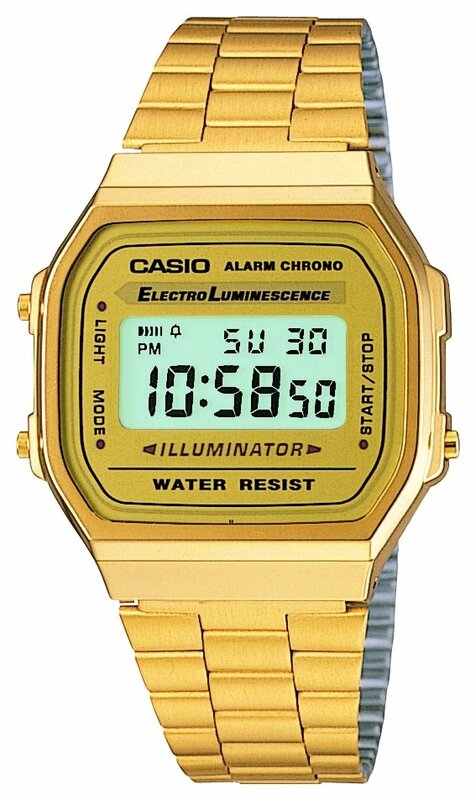 Casio has an iconic style, this watch emulating their older style pieces. This particular model shows off a 70’s retro style with an all gold strap and dial and rectangular case. The digital display is easy to read and comes with other features such as date display, day display and an alarm which is perfect for university student that want to improve their time management. The final recommendation on our top 10 watches for students is this unique and handsome timepiece, designed and crafted by Guess. 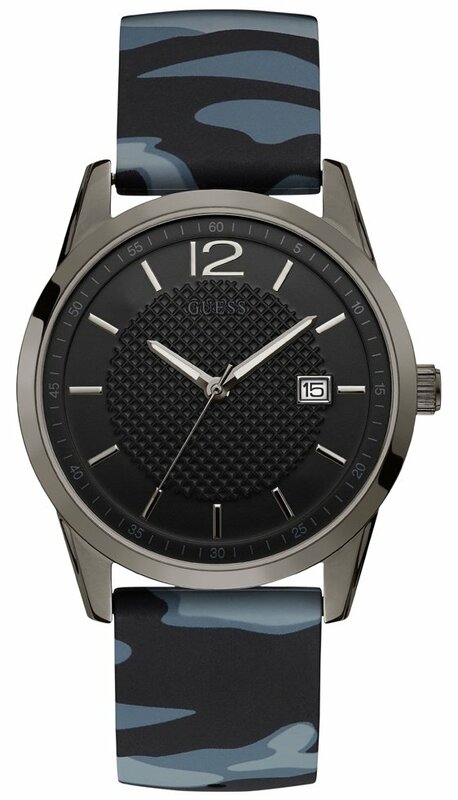 The dial of this timepiece is black, supported by a blue and black camo strap and gunmetal dial. 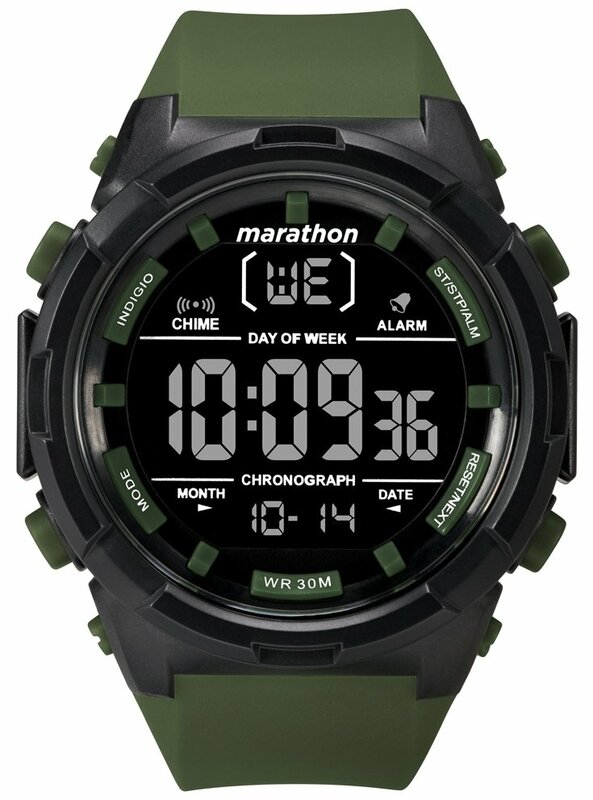 It is an overall simple watch which comes with date display for an added complication. What are your thoughts on watches for students? Let us know in the comments below!